WombatOAM: operations, monitoring, maintenance, and performance for Erlang OTP based systems. WombatOAM provides complete visibility over systems running on the BEAM VM; from proprietary applications to open source ones such as Phoenix, Riak KV, RabbitMQ or MongooseIM. 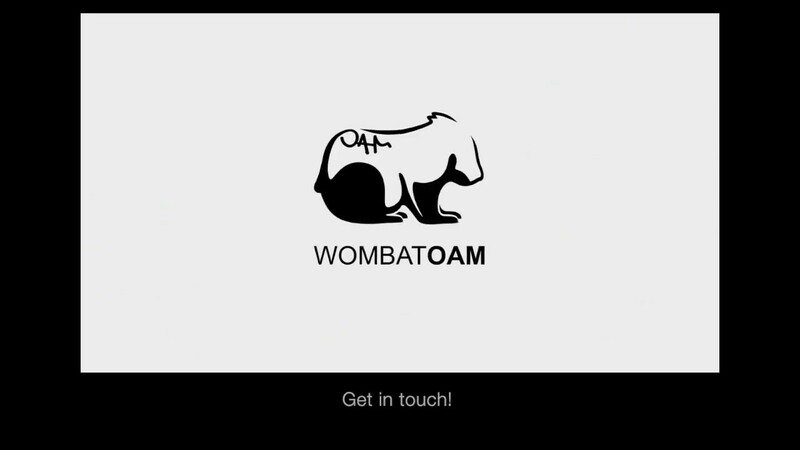 WombatOAM works as a stand-alone product or integrated into existing OAM infrastructures. It is easy to install and makes minimal demands on your system resources. WombatOAM automatically generates product-based dashboards for RabbitMQ, Riak KV, MongooseIM, Phoenix, Erlang, and Elixir. These dashboards are customisable and come pre-loaded with graphs of the most important metrics related to each application. Plot both historic and live metrics on dashboards. Watch your system's performance in real time and diagnose issues with your nodes or clusters directly from the Web Dashboard. Alongside the Web Dashboard for interactive use, WombatOAM also comes with a REST interface to support automation and integration. Easily drag, drop and resize modules within the web dashboard's GridStack layout to get the most useful and insightful view of your system. Chart and graph modules within the WombatOAM dashboards are flexible to your needs. Add different metrics can be placed on the same graphs and charts, and switch data visualisations up. Create as many WombatOAM dashboards as you like. Save them to come back to later, and copy existing dashboard to edit for new dashboards. Plug WombatOAM into your Erlang OTP nodes and test it for 45 days. WombatOAM is included as part of our support agreements covering Erlang/OTP, Elixir, RabbitMQ, Riak and MongooseIM. You can buy WombatOAM licenses on an annual or perpetual basis, the subscription plans below will help you decide what fits your system best. WombatOAM is available on a trial basis for 45 days free of charge. Get in touch for more details on WombatOAM license arrangements and a price for deploying WombatOAM across your BEAM-based system. Detect anomalies and early warnings with WombatOAM's alarms and notifications. Set up customised alarms to prompt human intervention when a metric crosses a given threshold. This empowers DevOps teams to address and resolve problems before they escalate and cause service disruption. WombatOAM integrates with the SASL alarm handler and the Elarm application, forwarding alarms specific to your system. It also forwards SASL and Lager logs, including crash, warning and error reports, giving you data specific access to all clusters in one place. Inspect processes - including message queue, process dictionary, process state, stack trace - and ETS tables in running systems. WombatOAM generates a nerve center homepage for each node which simplifies operations such garbage collection to free up memory and fixing misconfiguration issues by changing configuration parameters. To autodiscover node topology with WombatOAM, just input a node and its cookie. With this information, WombatOAM will discover all existing nodes in the cluster, group them into releases (called node families), and start monitoring them. WombatOAM visualises the node topology and gives you the ability to inspect specific node information, supporting troubleshooting. WombatOAM also acts as a point of integration for tools that allow closer inspection of what is happening on the monitored nodes, without users accessing the machines themselves. WombatOAM comes with a set of built-in application-specific plugins covering many standard OTP applications and popular open source ones. Plugins run on the managed node and send metrics, notifications, and alarms to WombatOAM. Plugins have been implemented to monitor SASL, Lager, Folsom, Exometer, Elarm, Mnesia, OSmon, Cowboy, Phoenix, Poolboy and Ecto OTP applications as well as MongooseIM, RabbitMQ, and Riak nodes. Many more plugins are being implemented, and custom proprietary plugins can be developed based on a simple API. Jump straight into your systems metrics with an interactive web dashboard that provides all information in one place, and a REST interface to support automation and integration with your existing toolchain and scripts. Deployment of Erlang nodes in heterogeneous clouds or on specified machines that scale to tens of thousands of nodes with no single point of failure. WombatOAM orchestration and monitoring has been tested on a cluster of 10,000+ Erlang VMs, and is linearly scalable beyond that. WombatOAM seamlessly integrates with Slack, AppDynamics, Graphite, LogStash, DataDog, Graylog, Cacti, Nagios, Splunk, Grafana, Zabbix and PagerDuty. If you are using proprietary OAM tools or SAAS providers currently not supported, the WombatOAM architecture provides the flexibility to add integration points without the need to upgrade or restart your managed nodes. Integration happens in the WombatOAM node, reducing overhead in the managed nodes while reducing the risk of OAM-related issues escalating in the nodes managing the business logic. WombatOAM is easy to install and use, with a friendly interactive web dashboard, a straightforward API, and the ability to hook into your existing OAM and SAAS tools. It makes minimal demands on your system resources. WombatOAM can connect to any system running on the Erlang VM, using Distributed Erlang. The system may consist of one or more Erlang VMs (even running different releases), and include proprietary applications or standalone open source applications such as CouchDB, Riak, RabbitMQ or Phoenix. WombatOAM starts non-intrusive agents that enable it to monitor alarms and notifications, and collect information such as metrics and logs. This agent code is loaded on the fly, without having to include any proprietary WombatOAM applications in your release, and without the nodes having to be restarted. WombatOAM will connect to nodes seamlessly – even if they have been running for years, or are running older versions of the Erlang VM. Subscribe to the Erlang & Elixir Newsletter to stay up to date about the latest WombatOAM developments.